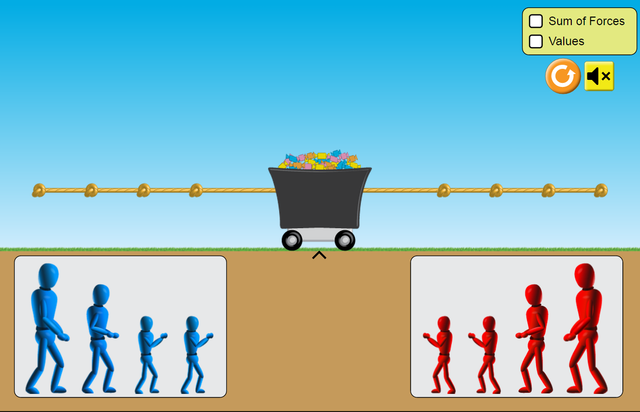 Explore the forces at work when pulling against a cart,and pushing a refrigerator, crate, or person. 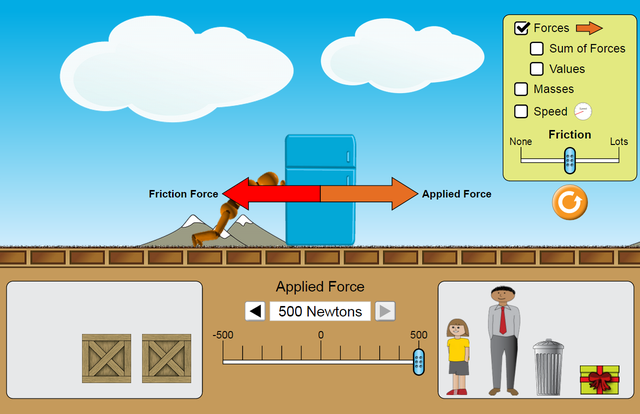 Create an applied force and see how it makes objects move. Change friction and see how it affects the motion of objects. 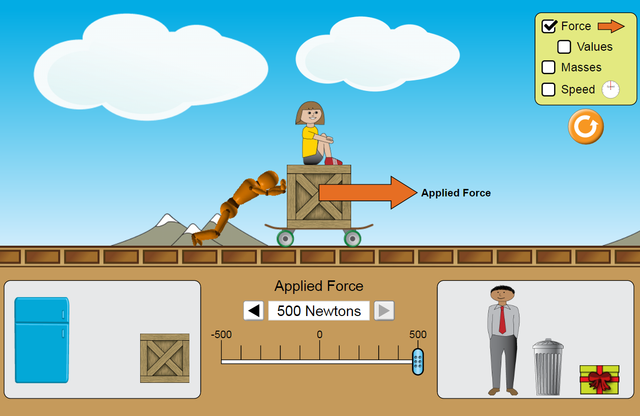 - Identify when forces are balanced vs unbalanced.- Determine the sum of forces (net force) on an object with more than one force on it.- Predict the motion of an object with zero net force.- Predict the direction of motion given a combination of forces.